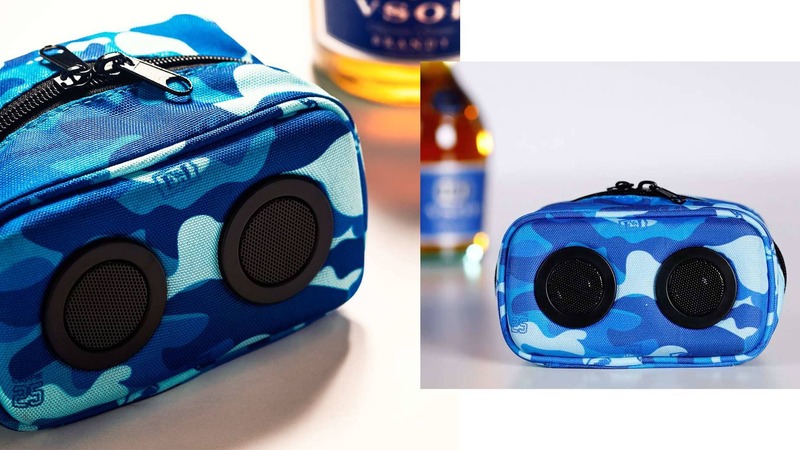 This utility kit JammyPack turns any BBQ, block party or beach outing up a notch. 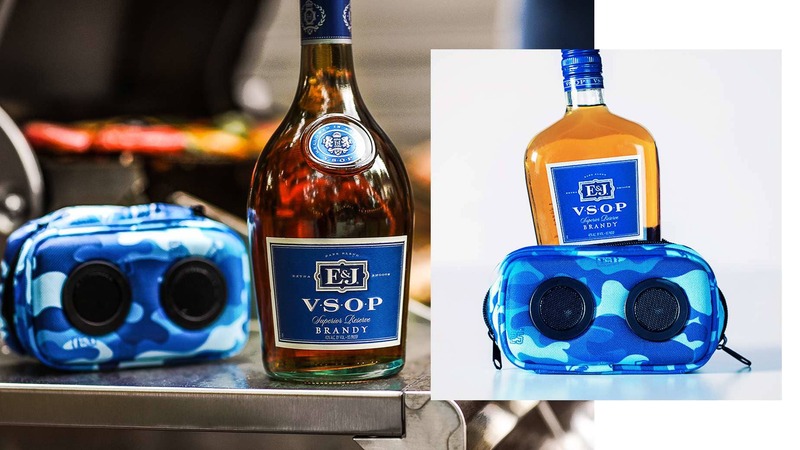 Designed by Jugrnaut, Cappie Pondexter and E&J Brandy, this speaker fits your cell phone, charger and small VSOP bottle. 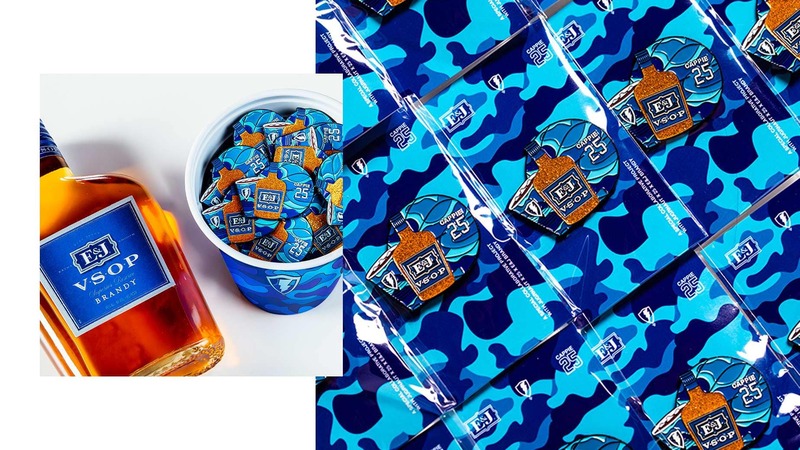 You know, the essentials. 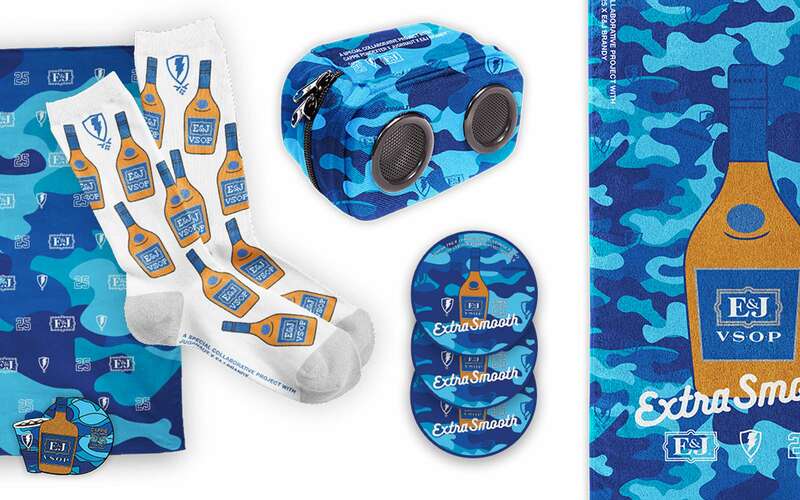 Look good from head to toe. 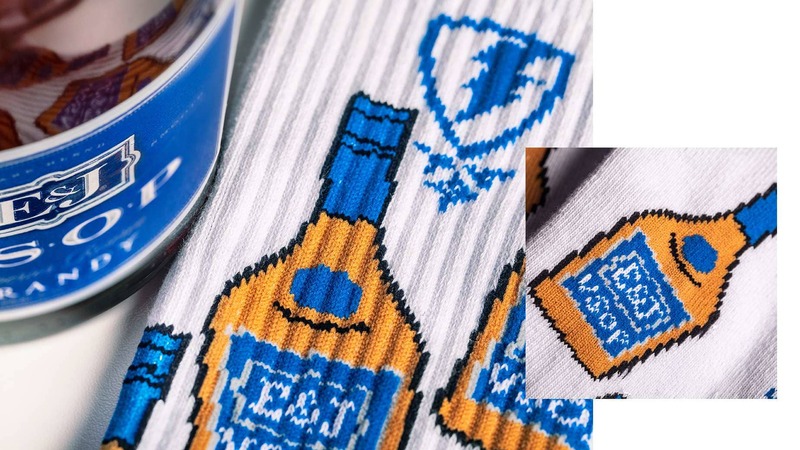 These premium knit socks are inspired by our VSOP bottle and designed by Jugrnaut and E&J Brandy. One size fits all. 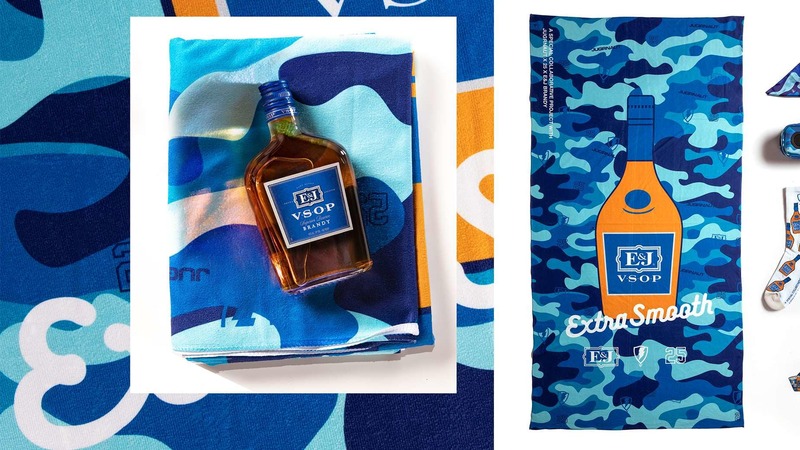 Keep VSOP on your mind with our signature bandana, made in collaboration with Jugrnaut, Cappie Pondexter and E&J Brandy. 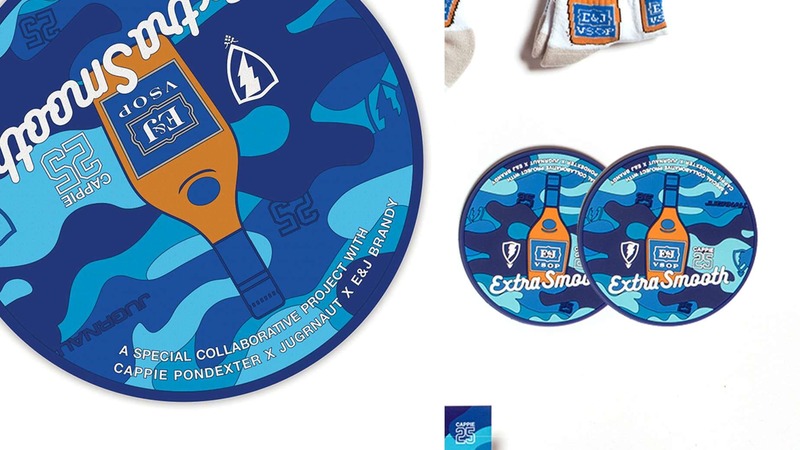 Set your glass down in style with limited edition E&J Brandy VSOP rubber coasters in camo blue. 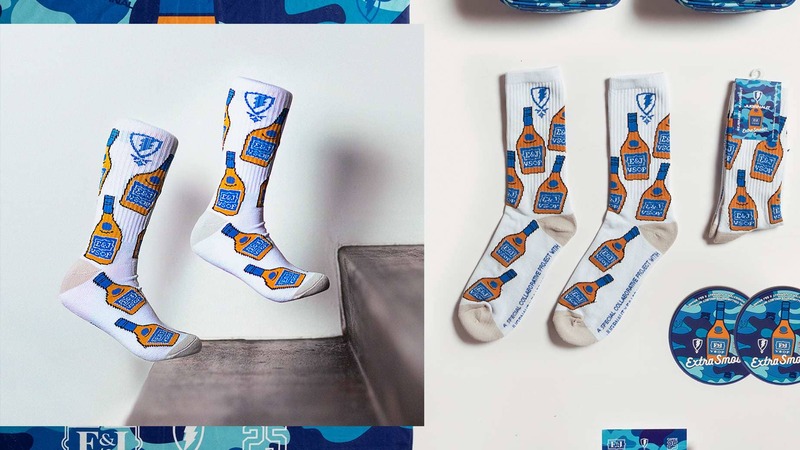 Designed by Jugrnaut, Cappie Pondexter and E&J Brandy. 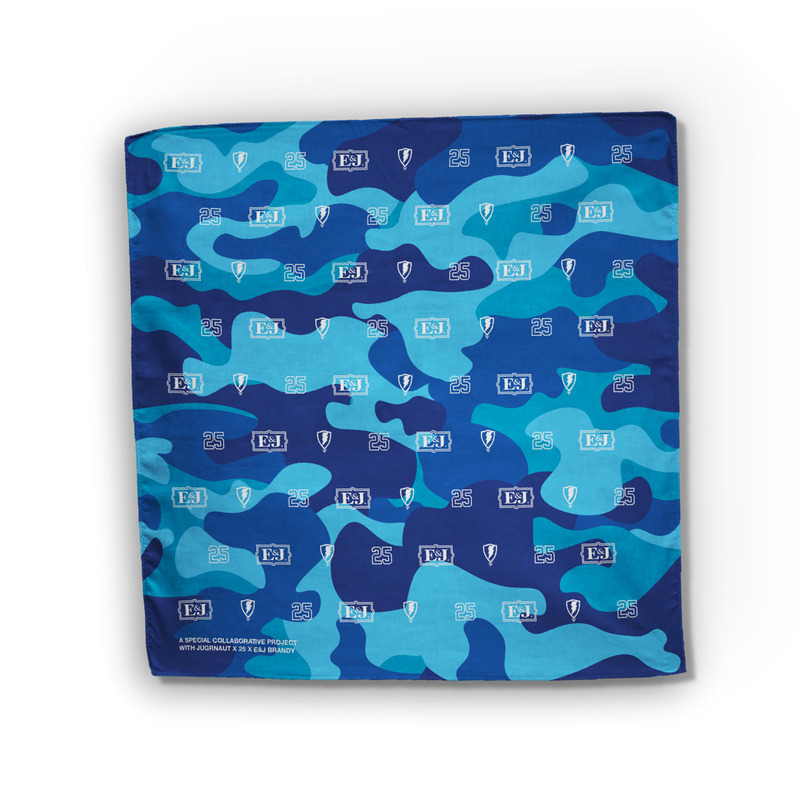 Stay extra smooth with the limited edition VSOP towel featuring a blue camo pattern. 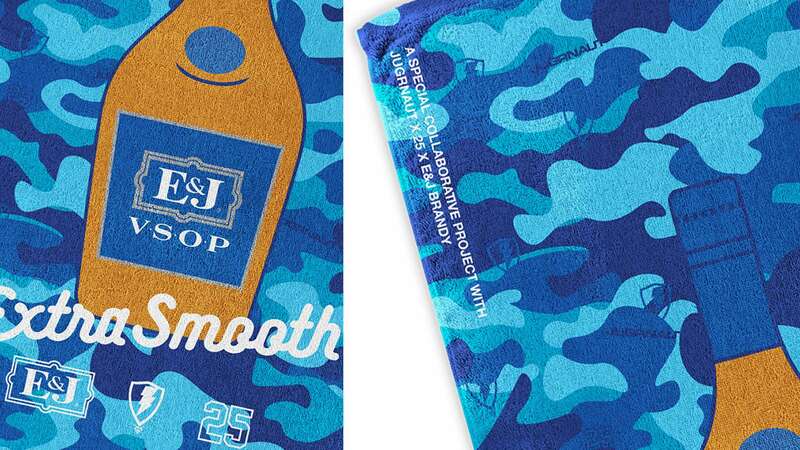 Custom collaboration between E&J X Jugrnaut. 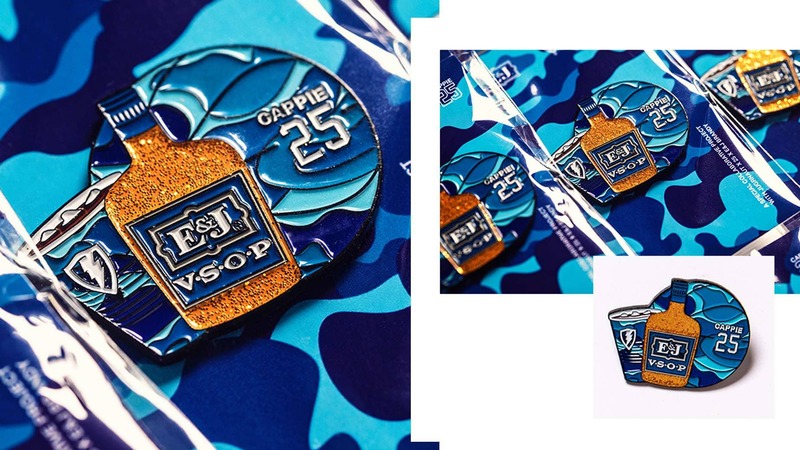 Rep the blue bottle with this collab VSOP pin from Jugrnaut X Cappie Pondexter and E&J. 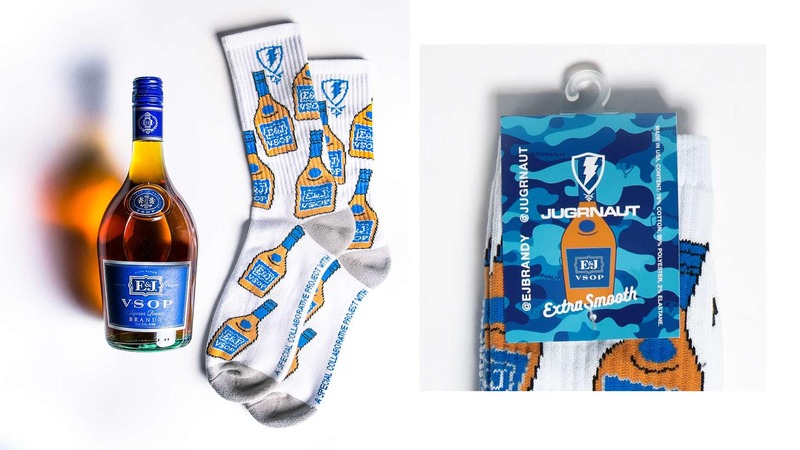 Snag exclusive E&J swag from our past collabs on the E&J Shelf now. 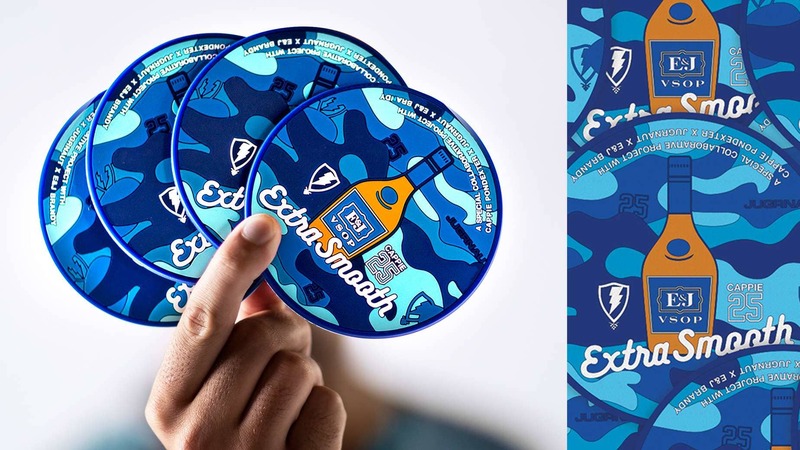 Brandy, Alcohol 40% by Volume (80 proof). 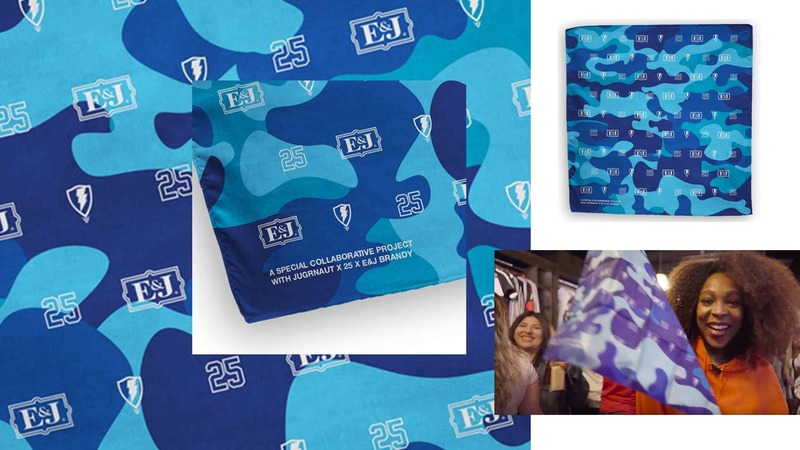 © 2019 E&J Distillery, Modesto, CA. All rights reserved. 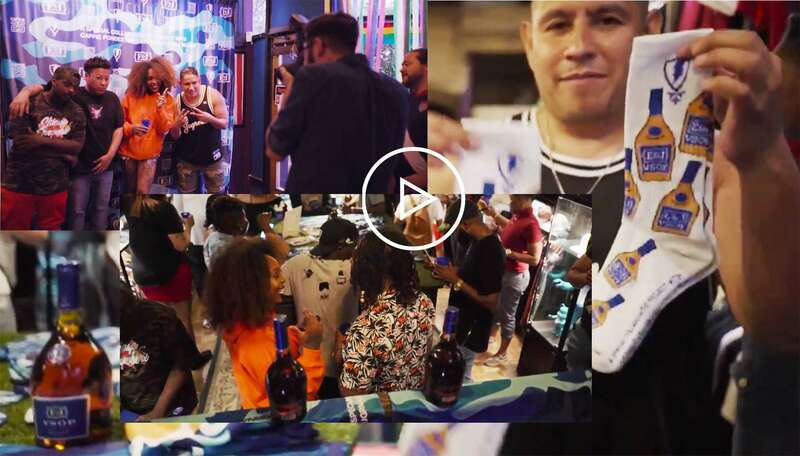 Have more friends for the fam?